We returned back in Kawasaki to a completely dead car. It turns out that power locks don’t open without marginal battery power. 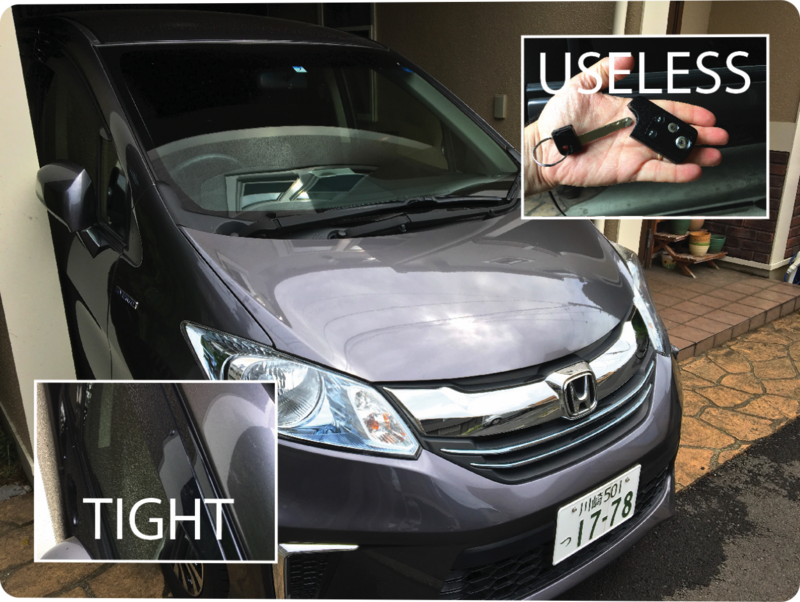 But without being able to unlock the car, there is no way to open the hood and recharge the battery. WHAT TO DO? 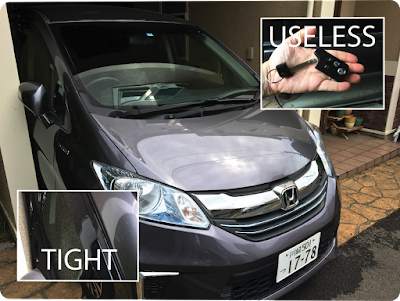 Use the hideaway key in the key fob to open a manual lock door, you say? Ah, but herein is the best part of the puzzle! We need to park in our carport all the way over against the driver’s side door (the only side with a key hole) to have enough space to get out on the passenger side. The way the car is parked, there isn’t even adequate room to get the shaft of the key into the lock. No access. No open hood. No battery recharge. No driving. 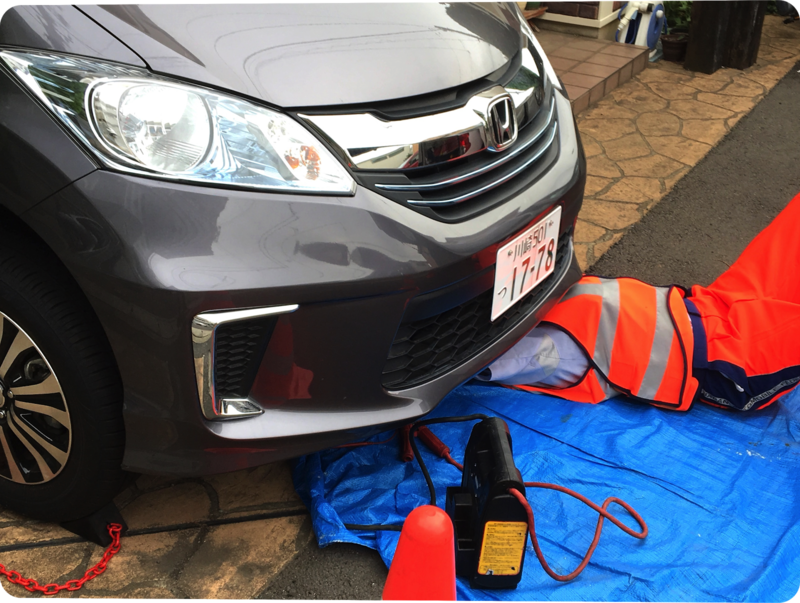 SOLUTION: I broke down and called JAF (Japan Auto Federation). Things looked pretty grim for the first 30 minutes or so as the tech walked around and puzzled over it. He smiled when I suggested getting some sumo buddies to lift and move the car over. Then he struck upon an idea. From below he accessed some part with an electrical connection, and gave it just enough of an electric boost to open the doors. The hood was next. Then the battery jump. JAF really earned my membership fee this year. Before leaving, in true Japanese fashion, he complimented me a few times on how well I parked. I interpreted this Japanese politeness as intended: "Don't park so stinking close to the wall on the key hole side next time!" We'll see how that goes. I might have to skinny down with Weight Watchers to get out of my car after this.